FIRST TRY: Earlier this year we tried to hard mount the MoVI M10 with a heavy RED Epic package to the front and back of a pick-up truck. 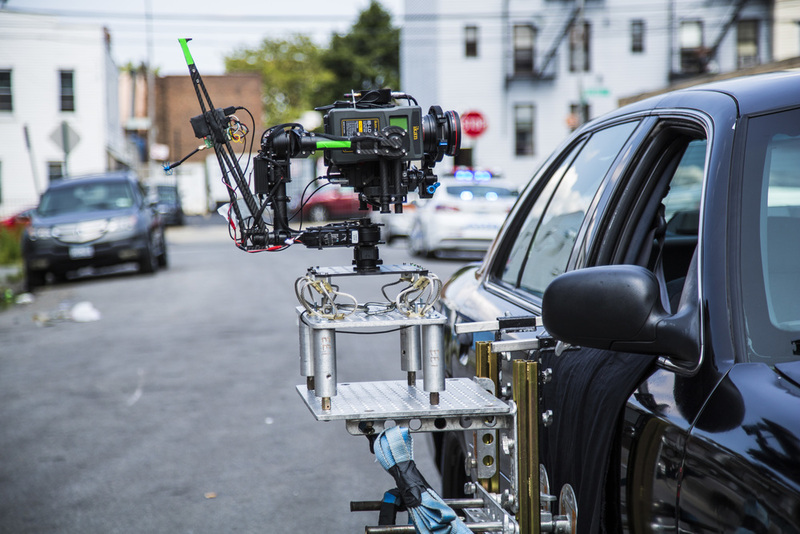 We quickly found that without a vibration isolator a lot of shake and small vibration will be transfered from the street and car directly to the MoVI. 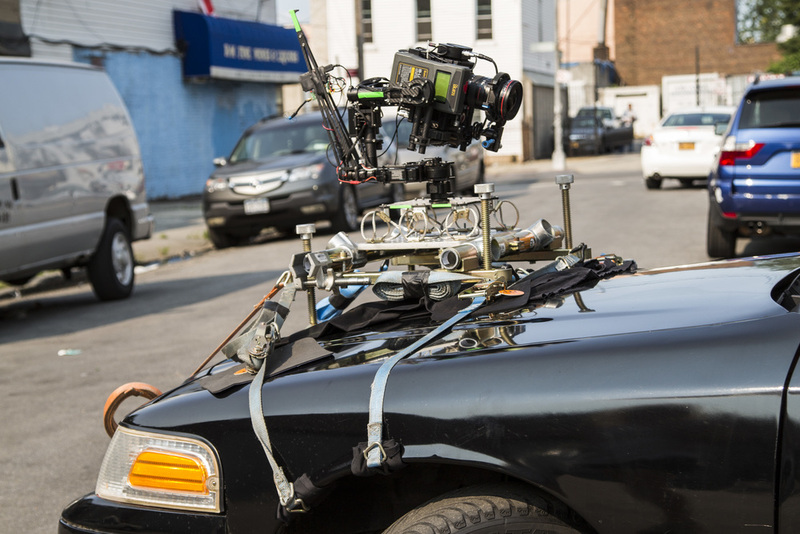 As it literally shakes the whole rig, its nothing that the otherwise flawless stabilization of the MoVI could compensate. NEW APPROACH: For a short film that I recently DPed we attempted a new solution: I disassembled the wire damper from the FREEFLY TERO and screwed it directly onto a hostess tray cheese plate. The wire damper gives the camera a bit looser feel, it is a lot smoother and minimizes vibration and small shakes coming from the street. 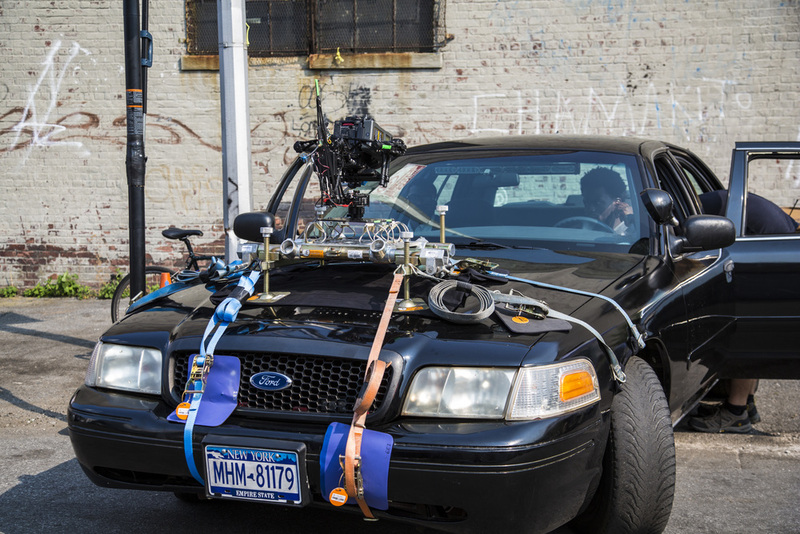 Especially the MoVI-hood-mount allowed us to capture a unique angle and shoot a conversation inside the car with very small foot-print (driving through some of the tightest and busiest streets in Brooklyn), without the need of a process trailer.